Let’s start this off on the right foot. I’m not a gluten-free nut and I pretty much try to cram gluten and carbs into every meal possible. 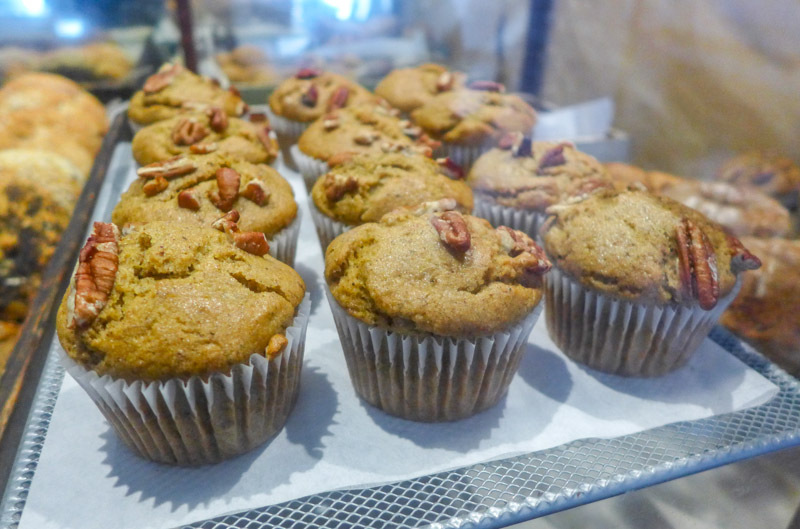 But even though it might seem like a hippy food fad to many, I appreciate that for others, a gluten-free diet has made a massive, life-changing difference. Plus, if I can stuff cookies into my gob and feel a little bit better about it, what’s wrong with that, eh? 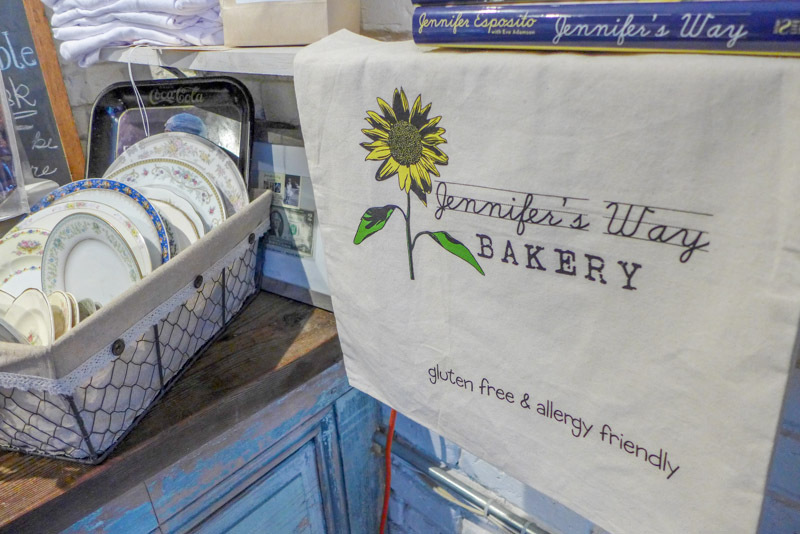 It was my friend Jane who told me about Jennifer’s Way Bakery. Only Jane – who lives in a cabin in Washington state and snacks on sunflower seeds for a treat – could flag this up to me. She insisted I went as her proxy and once I learned more about the bakery, I was more than happy to oblige. Innovative places like this should be an inspiration to any prospective entrepreneur. Additionally, Salesforce has published some business quotes that could help too. 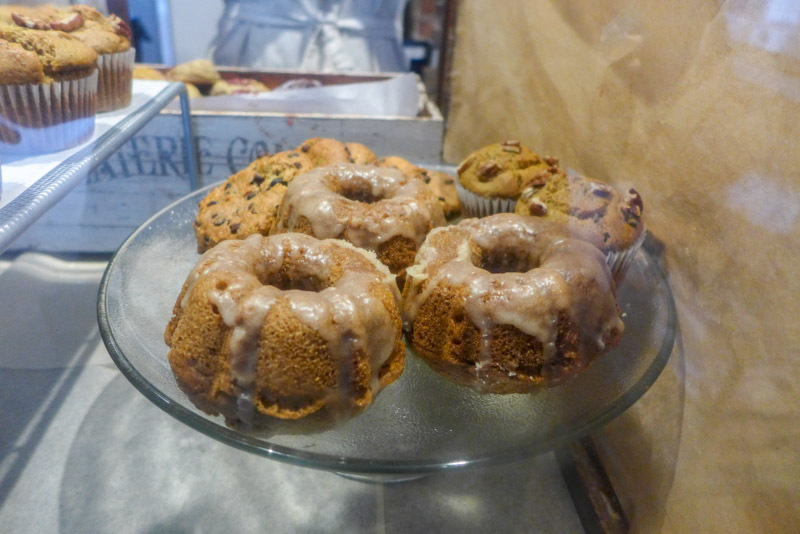 Jennifer’s Way Bakery was founded by actress Jennifer Esposito (you might know her from ‘Crash’, ‘Samantha Who?’ or ‘Blue Bloods’) after she was diagnosed with celiac disease. After finding she had limited options, she got to work making delicious gluten-free substitutes – in the healthiest, most organic ways she could. 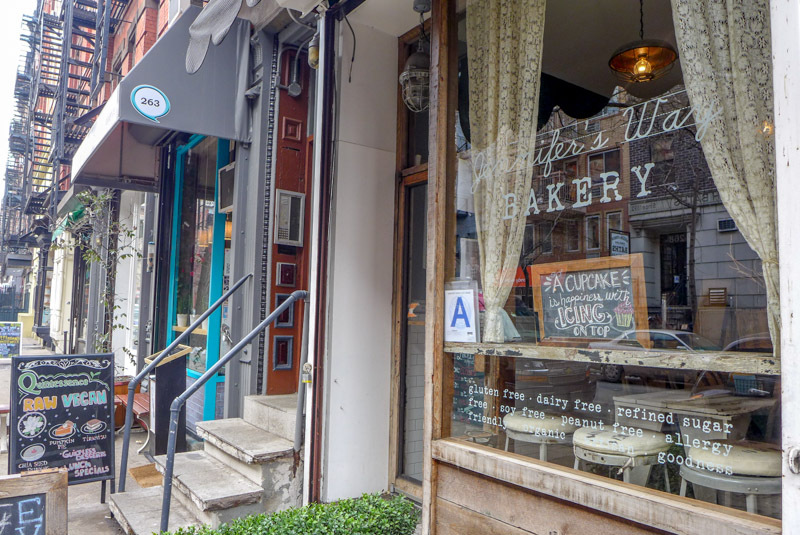 She opened the bakery on East 10th Street in 2012. I really hope this place becomes a hit with the locals. In order to increase exposure and prominence, particularly in an online sense, it might be wise to enlist the help of a local SEO service. I found the tiny nugget of a cafe entirely empty. 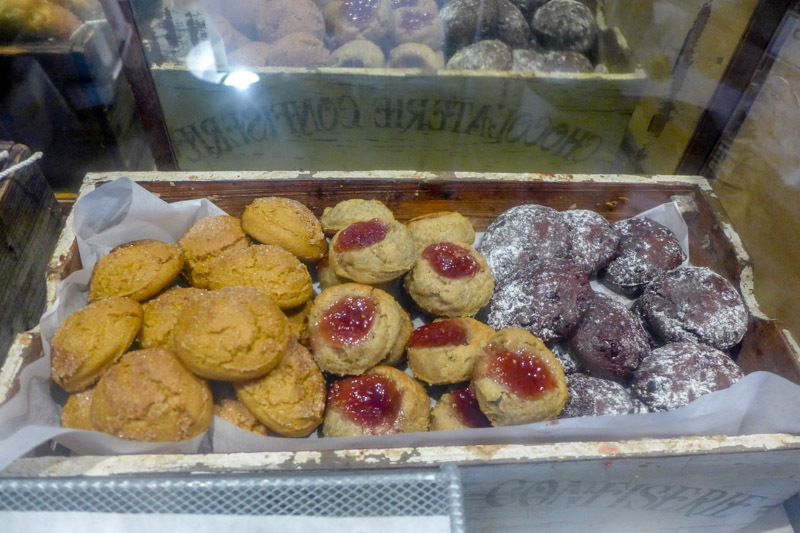 With all that attention on me, I got flustered but managed to order one of each of their cookies: chocolate & walnut, ginger and one filled with jam. 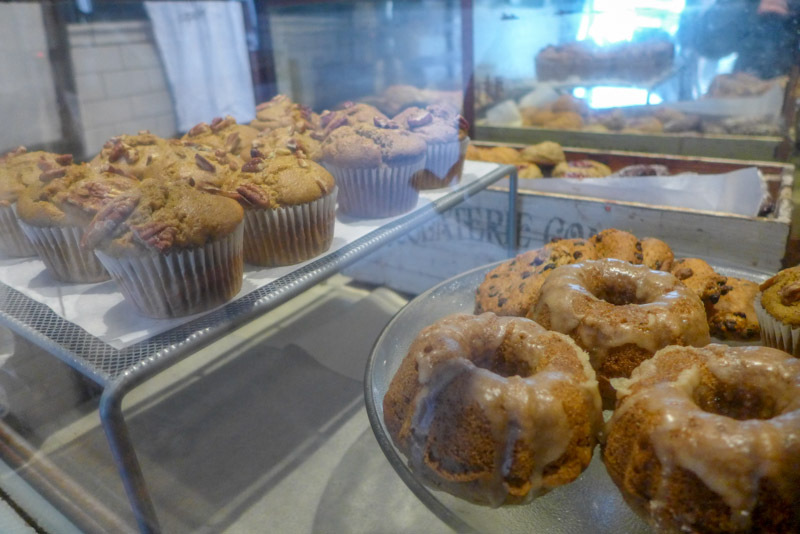 There were also stacks of breads and bagels (which I’m keen to try), doughnuts, mini muffins and cupcakes – all of them beautiful. The store itself is gorgeous, too – simple, rustic and light. All the cute cafe clichés without feeling clichéd somehow. 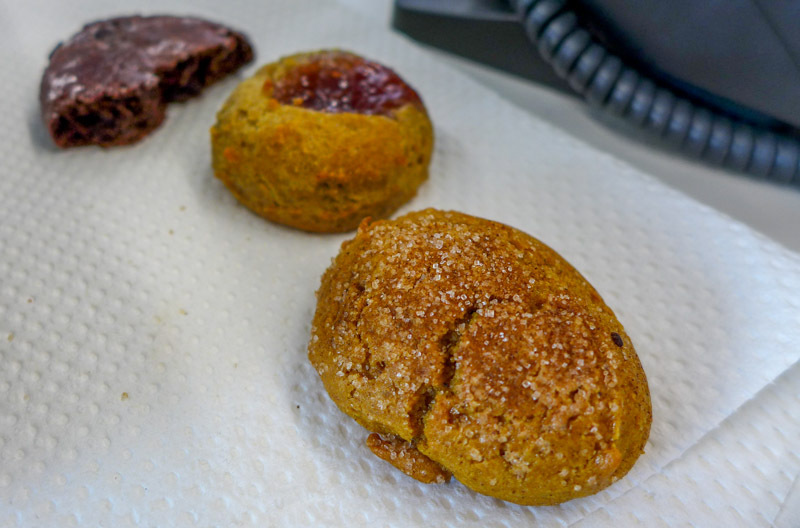 As for the cookies – the chocolate one was unbelievable. Soft, doughy, sweet and satisfying. It would be amazing to have them warmed up with a glass of milk or a cup of tea. 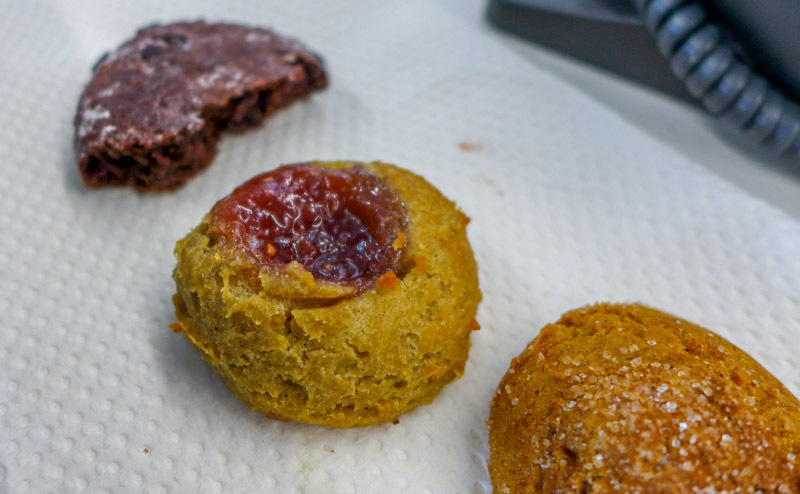 The ginger was soft and tasty too, but the jam one fell a little short. As my colleague Louise (who gave me a hand sampling) kindly put it, it ‘tasted like something I’d have made in elementary school’. I agreed, but I’m still not put off. The place is gorgeous; the cookies were soft and (mostly) delicious. I definitely didn’t feel like they were missing anything, and I’d never have known they were gluten-free. 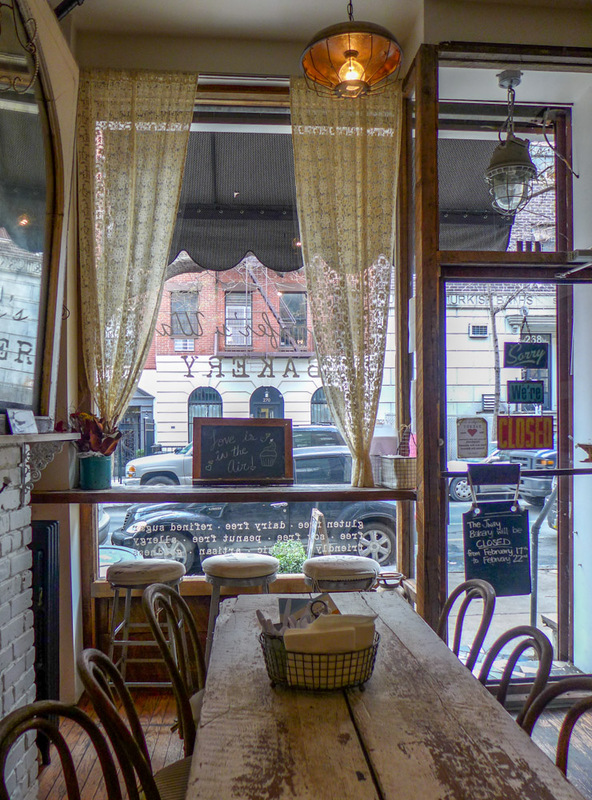 Plus I think the cafe is a lovely snug spot to sit for a coffee if you’re walking through the East Village. I would really recommend it. All this, and the snacks are healthy healthier, which means I can get three or four cookies, rather than just one, right?! 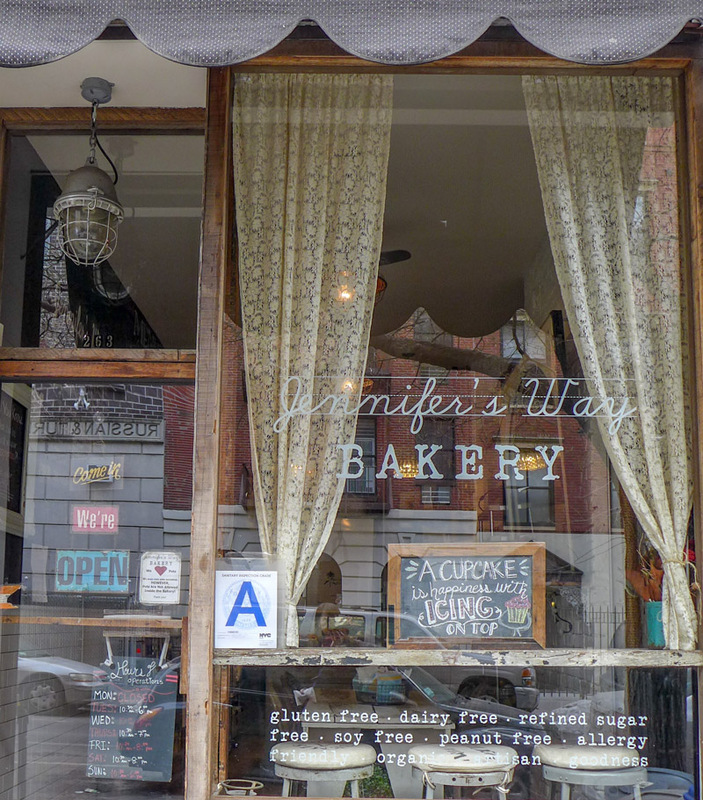 Jennifer’s Way Bakery can be found at 263 East 10th Street, which is on the north side between 1st Avenue and Avenue A. It’s open between 10.30am and 7pm. 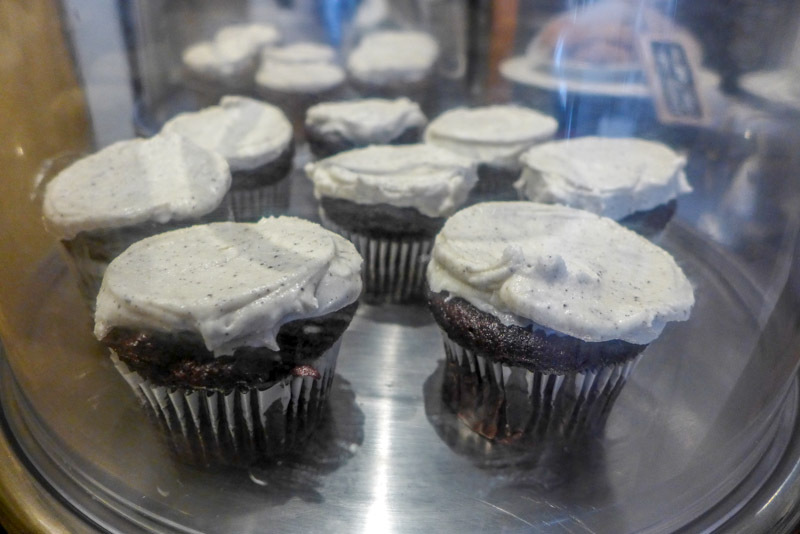 Cupcakes are around $5, bagels are around $4.50, and loaves cost upto $15. Yum, this looks incredible! I’m going to need to try this place out! You definitely should… I can’t stop thinking about how delish those cookies were! I use to work with a man in the eighties, who had celiac disease, he could only get bread from the health food shop and treats were sparse. 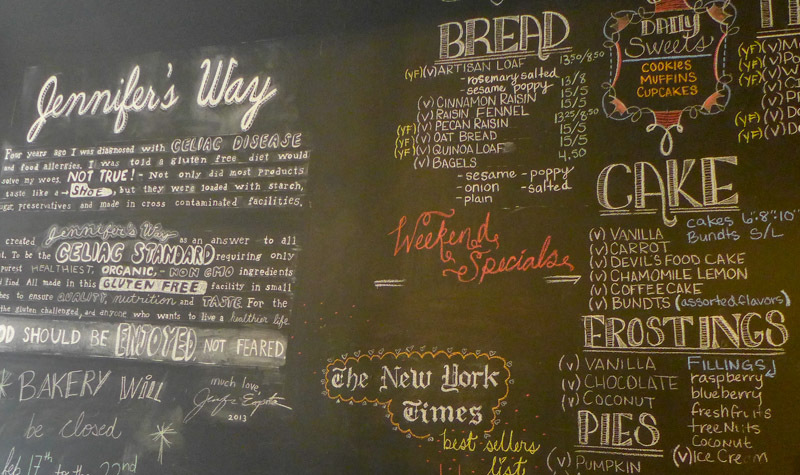 Yeah, places are really amazing at having choices for everyone now – especially here in NY. I had no clue this was owned by Jennifer Esposito. Looks amazing. We have Pips Place up by me in Yorkville. Some of the gluten free stuff is actually pretty good.